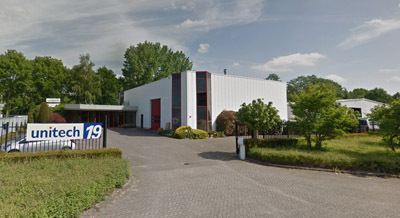 Unitech Europe is located in Tilburg, The Netherlands, since 1999. From this location Unitech products are distributed throughout Europe, Africa and the Middle East. Beside distribution the Tilburg location of Unitech also provides extensive service in the fields of sales, marketing and technical support. By this local service Unitech Europe is capable to react quickly and effectively to customers’ and potential partners’ questions and needs. Unitech was founded in 1979 in Taipei, Taiwan. As a global provider of automatic identification and data capture technologies, Unitech manufactures a wide range of rugged mobile computers, RFID readers and fixed mount terminals. Unitech products bring value to customers throughout the world in various industries, such as transportation, logistics, retail, banking, warehouse and manufacturing. Our goal is to develop solutions that help our customers achieve higher productivity and more efficient operations. Integrated Security & Home automation.